Louis Meredith Dyke was born in Cardiff and educated at Christ College Brecon. He played for London Welsh, Cardiff and Penarth, and in 1907 - 8 represented The Barbarians against Newport. In all he played 107 games for Cardiff over four seasons from 1908 to 1912, scoring 33 tries. 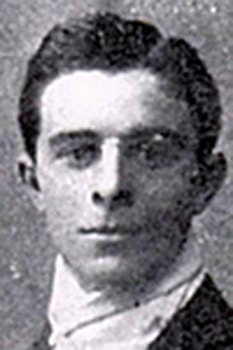 Dyke gained four Welsh caps making his debut against Ireland in1910 and playing another three matches in 1911. Louis Dyke died in Cardiff in 1961 at the age of 74.